Just when Beatles fans thought the band were finally going digital, the Norwegian national broadcaster has been forced to call off the deal. Broadcasting company NRK has had to remove a series of 212 podcasts, each of which featured a different Beatles song and would have effectively allowed fans to legally download the entire Fab Four catalogue for free. Earlier this week, NRK announced that its 2007 documentary series Vår Daglige Beatles (Our Daily Beatles), would be made available as free podcasts, with each featuring Norwegian journalists telling the story behind a Beatles song and the actual recorded song itself. However, the broadcaster has since hit some legal roadblocks, mostly due to a stipulation that the broadcaster can only post podcasts from shows broadcasted in the previous four weeks. "The Beatles comes under our agreement with IFPI [the organization that owns the rights to the Beatles' songs], which says that we only can put up shows for download that were aired the latest four weeks, and where the music is less than 70 percent of the show's length," said a statement from NRK. "Our Daily Beatles aired in 2007, so we have to pull the podcast. If it was aired today, we could have podcasted the next four weeks within the agreement We could have done it, but choose not to." And even if NRK did choose to rebroadcast the series, it appears the broadcaster would have to deal with Beatles' Apple Corps, who don't seem too happy about the whole thing. "It has recently been reported that a Norwegian broadcasting company, NRK, will make Beatles music available for download via a series of podcasts. These podcasts are not authorized by Apple Corps Ltd.," the company said in a statement. 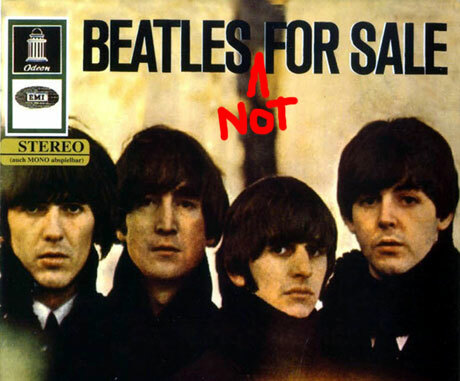 As previously reported, the Beatles remain one of the last big acts not to offer their catalogue digitally, and they apparently will continue to be. Recently, Paul McCartney said negotiations to get the Fab Four onto iTunes had "stalled," leaving some fans more than a little ticked that they still have to listen to the band the old-fashioned way. The Beatles "Within You and Without You"